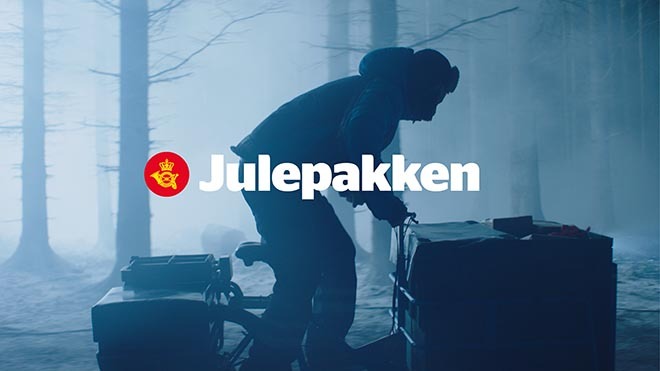 Postnord promoted its “Modtagerflex” (Agreed Delivery Point) service this year with “Julepakken” (Christmas Parcel) a commercial with an element of fantasy for the Danish market. PostNord delivered 97.1% of the packages on time in 2015 but would have had an even better record if people registered an agreed delivery point. The Christmas Parcel commercial tells the story of a postman who helps out when Santa drops a parcel for Dagmar Toftgård. The conclusion cuts back to the three main antagonists featured through many of PostNord’s advertising campaigns. The PostNord Christmas Parcel campaign was developed at Hjaltelin Stahl, Copenhagen, by creative director Nicolai Stahl, art directors/copywriters Niels Heilberg and Nicolai Dimon, and copywriter Magnus Millang. Filming was shot by director Magnus Millang via Bacon CPH with producer Samuel Cantor and director of photography Jasper Spanning. Music is “Epica” (E. Levine), produced at Must Save Jane, licensed through Upright Music.